What Overpass Triggers and Actions are Supported? New Leads OLD, DEPRECATED, DO NOT USE, USE New Contact TRIGGER INSTEAD - This trigger is deprecated and does not work. Please use the "New Contact" trigger instead of this one. 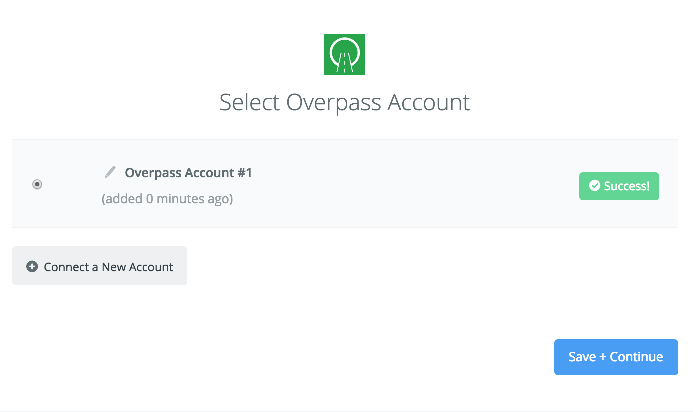 To get started with Overpass on Zapier, first you will need to click to connect your Overpass account to use with your Zap. Next, you'll be asked to enter your Overpass API key. 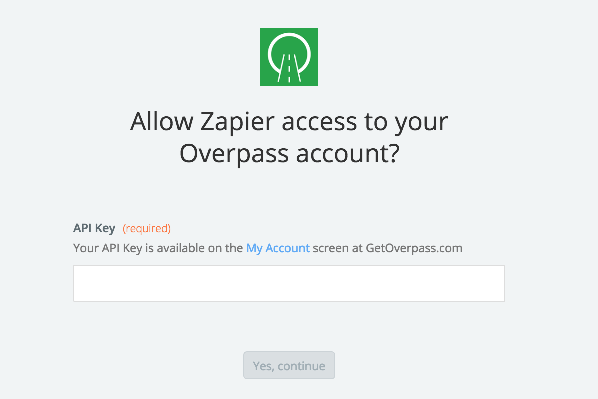 You can find your API key at the bottom of the My Account screen at app.getoverpass.com. Paste your key into your Zapier account and then “Continue”. If your API was entered correctly your Overpass account will now be successfully connected.